← This is What Nutrition Labels Don’t Tell You. And Here’s How it Can Improve. Give the standard nutrition label treatment to an avocado, and you’ll likely run for the hills. Half an avocado has 14g fat? 145 calories? Yikes. But if we go sans avocado in our salads because it puts us over our calorie target for the day, we’re doing this power food a serious nutrition injustice. 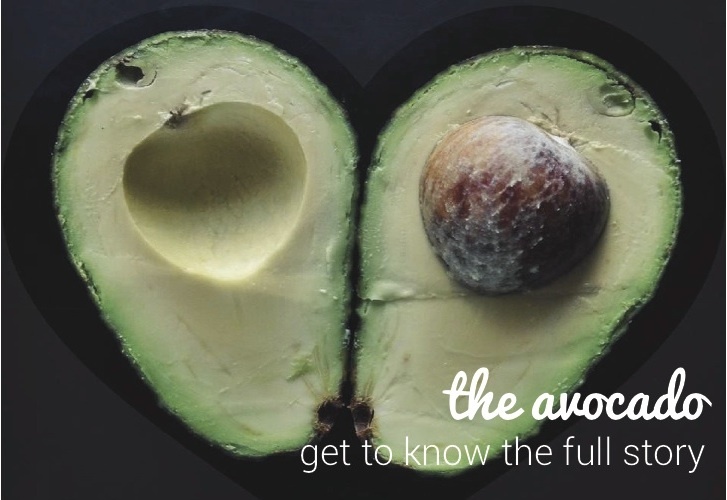 Total fat content and calories tell only a fraction of the avocado story. The fruit is packed with vitamins, minerals, and fats essential to maintaining a balanced diet. And yes, avocados, with their 14g fat per half, can aid in weight loss. About those fats. Avocados contain mainly unsaturated fats. The good fats. The unsaturated fats in avocados raise good cholesterol levels. They also take longer to digest, leaving you full for much longer. 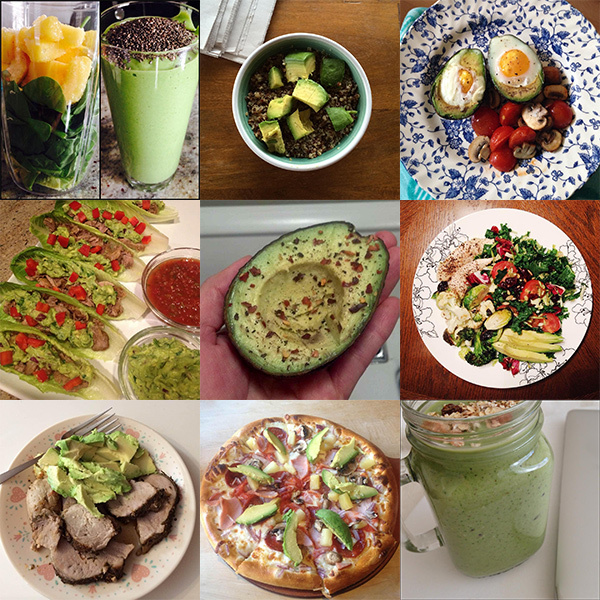 Avocados can enliven a wide range of meals. They give smoothies a creamy consistency, play well on morning toast, and provide a healthy alternative to butter. 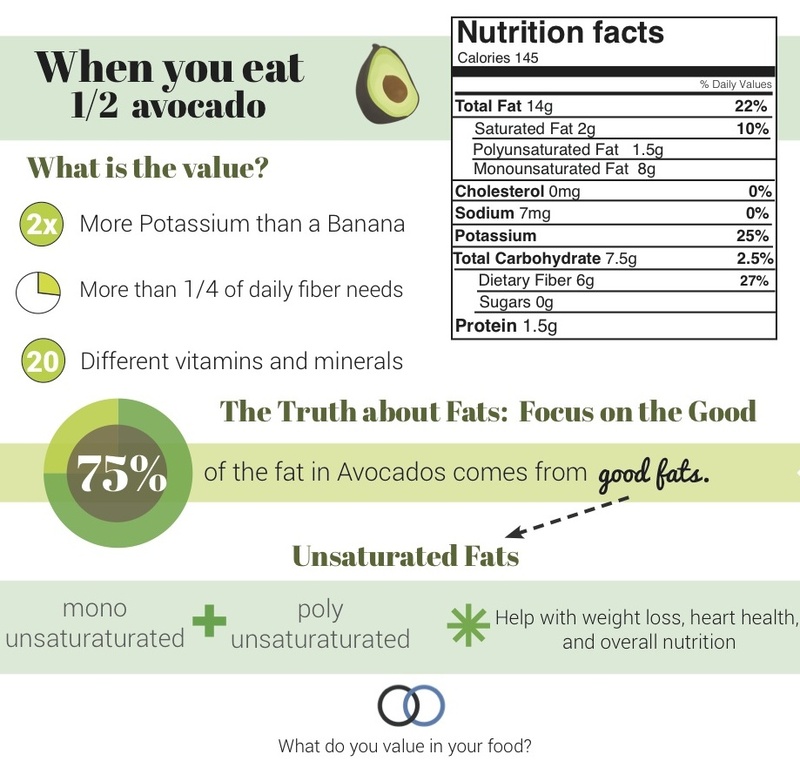 This entry was posted in Nutrition labels, Nutrition science and tagged avocado, fruit, Health, nutrition, power food, saturated fat, twogrand, unsaturated fat, weight loss. Bookmark the permalink. 3 Responses to Avoided Avocados Because of Fat or Calories? This Will Make You Think Twice About Doing it Again. I love this article and your mission- but “a healthy alternative to butter” –> fake butter is a problem REAL butter is sooo good for you in appropriation portions. Obviously each person has their own preferences but I hate to demonize butter. Again, I love your stuff so far! I can’t wait to see what else you guys do. Great point, cmelter! We actually paused while writing that line, thinking about the exact point you made re: butter. Could probably call it just an alternative to butter (nixing the word ‘healthy’). Appreciate the kind words! I adore avocados. I’ve not bought any yet this year, thinking of them as high calorie. But I’m giving up that thinking, and going in search of some tomorrow. Thank you for this great information.